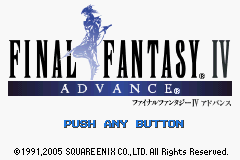 The GBA port of this game has a few notable changes from the original SNES version. Targeting was changed for a number of weapons that casted spells. One of the weapon’s spells has its targeting set incorrectly. The Defender Sword by default targets the enemy with the Protect spell, which obviously is not what you want. A separate patch changes certain weapon behavior back to what they were originally in the original FF4. 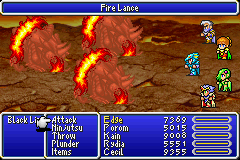 This change in FF4A annoyed me a lot.